Amazon back in October last year launched its Fire TV Stick 4K in India priced at Rs 5,999. And now, months after launching its premium streaming device, Amazon is bringing a new version of its FireTV Stick in India. 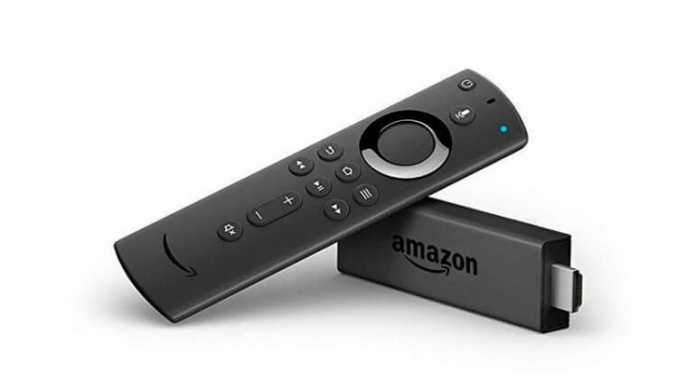 The Amazon Fire TV Stick with Alexa voice remote is priced at Rs 3,999 and it will be available for pre-order on Amazon India’s e-retail platform starting today i.e. January 16. The Amazon company will start shipping the device in the final week of January. The new Amazon Fire TV Stick along with the all-new Alexa Voice Remote comes with a price tag of Rs. 3,999 ($39.99 in the US). Amazon Fire TV Stick with Alexa Voice Remote sale through Amazon.in and Amazon.com starting January 23. Meanwhile, the online Shopping marketplace has started taking pre-orders for the new offering. Compatible with Fire TV Stick (2nd Generation), and Amazon Fire TV Stick 4K. Now with dedicated power, volume, and mute buttons that let you control your compatible TV. Just press and ask Alexa to easily find, launch, and control content. Quickly skip to your favorite scenes with standard navigation and playback controls. Do more with Alexa-play music, view sports scores, check the weather, see live camera feeds, and control compatible smart home devices. “Amazon Fire TV Stick has truly bought back entertainment into the living room. Today, we are delighted to make Alexa an integral part of this experience. The Alexa Voice Remote incorporates significant customer feedback to include TV Controls and avoid fumbling for multiple remotes,” Jayshree Gururaj, Director of Amazon Devices said on the occassion.